Two women eventually agree to move seats; Israeli rapper offended. 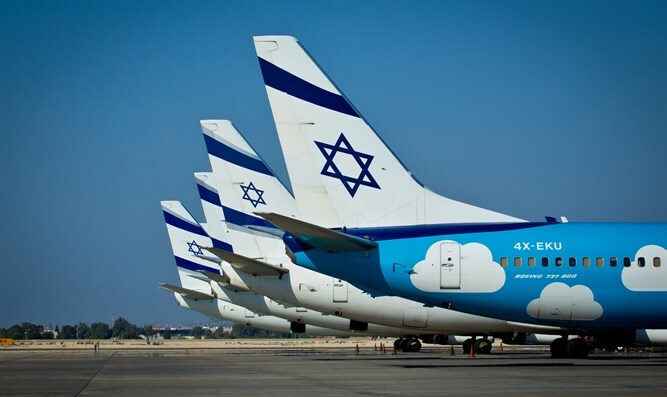 An El Al Airlines flight from New York to Israel was delayed by more than an hour after four haredi men declined to take seats next to women. The incident took place on Thursday night and was recounted in a Facebook post by one of the passengers on the flight, Khen Rotem. Rotem, an Israeli rapper who goes by the moniker Sagol 59, said one of the men who was “particularly devout and ascetic” got on the plane with his eyes closed and led by the hand of one of the other men and remained that way throughout the flight. Two women, one identified as an American in her 70s and the second a young Israeli woman, eventually agreed to move seats. According to Rotem, “12 planes from other carriers jumped the line ahead of Flight 002”. One year ago, an Israeli court ruled that El Al cannot ask women to move seats to accommodate a man who does not want to sit next to a woman. Renee Rabinowitz, 83, a retired lawyer who made aliyah more than a decade ago and had been visiting family in the United States, agreed to switch her seat in business class on a December 2015 flight from Newark, New Jersey, to Israel. A flight attendant offered Rabinowitz a better seat closer to first class. The judge in the case ruled the airline must declare it forbidden for a crew member to ask a passenger to change seats at the request of another passenger based on gender. El Al agreed to tell its cabin staff in writing about the prohibition and provide training on how to deal with such situations.